Looking for a good time in Indianapolis? Ask a local and most likely you’ll get sent to Broad Ripple, a district of bars and restaurants catering to the general need for libations and social interaction. On Broad Ripple Avenue, you’ll find a strip of bars like Rock Lobster, the Wild Beaver Saloon (gee, what could they be promoting? ), Pepper’s, and the Mineshaft Saloon. There is one pub that stands out by not standing out. Nestled on one of the side streets, just off the main drag, lies Connor’s Pub. Connor’s is a low maintenance Irish Pub that is good for relaxing after a long day. You won’t see much of a party crowd here, but it’s a place where you can drink a few beers and grab a bite to eat. Bands play on occasion and a small patio area lets patrons enjoy the cool night air or a more intimate conversation whenever the mood strikes. Sports memorabilia adorn the walls with a local rugby team, the Indianapolis Impalas, heavily represented amongst the many pictures. 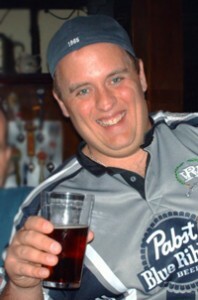 During the season, the team traditionally descends to Connor’s Pub after practice every Thursday to relax and enjoy a few cold ones, generally a Bass (since it is on special Thursdays), a cold Miller Lite for those that like to keep it simple, or a favorite of many a rugby player, Guinness. On almost any given day, you could probably find a member, past or present, of the proud club at the bar. By an old boy a beer and he will undoubtedly entertain you with tales (many of them tall) of his former ‘legendary’ skill on the pitch. Treat one of the active members to one and they will probably be glad to share stories of their recent trip to Colorado, where they played for the Division II National Championship. There are only a handful of beers on tap though most patrons are generally happy with the selection. The most popular beer in America is represented in Bud Light along with Budweiser and Miller Lite. For those with a little more of a distinguished palate the popular Irish favorite, Guinness, is also on tap along with Bass. Connor’s also has 812 on tap, an Indiana micro-beer named after the area code where it was brewed. Connor’s does exactly what it sets out to do. It provides a simple, no frills type atmosphere for friends to gather and enjoy the night. Their kitchen will gladly whip up some of their almost famous pizza when you get the munchies, and unlike most places there is actually parking nearby as well. For good times, good beer, and good rugby, Connor’s Pub definitely satisfies.